Do you truly understand your investment return? The average investor might be touting high investment returns at their kid's next soccer game but when you subtract the fees and investment costs the returns will be quite different. It is important that you know how to professionally evaluate the hidden fees in mutual funds so you can keep more of what you make. For example, we recently reviewed an investment portfolio for one of our students. They were concerned that their investments were underperforming and wanted to get educated on why. What we discovered was that their "trusted" financial advisor was buying them high fee mutual funds… and it was costing them thousands of dollars. 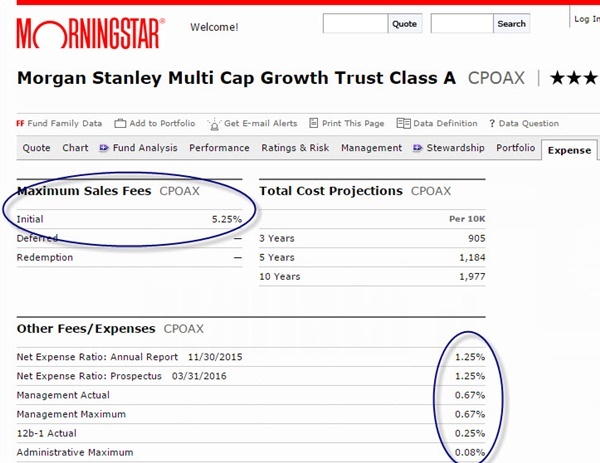 For example, of the approximately 6 different mutual funds in their portfolio, one of them being the Morgan Stanley Multi Cap Growth Trust (symbol: CPOAX), most of them were high fee investments. What Types of Investment Fees Are There? Now, the average investor might visit the website of their investment fund; Morningstar, Fidelity, etc., and go to the historical performance section of the fund. For the fund we mentioned earlier (symbol: CPOAX) these sites display a 2015 performance of 7.88%. That's a nice return considering the stock market was basically even in 2015. This is about as far as the average investor will go to understand their investment returns. They'll walk away feeling good and at their next kid's soccer game, they will tell their friends that they had 7.88% in gains in 2015. But wait! Let's take a look at how much they actually made from a professional view. Below is a screenshot of the Morningstar website for CPOAX fund. You'll notice all the expenses and fees circled. 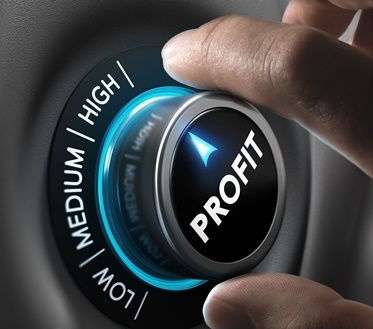 Here, you'll see the following investment fees: front end sales fees, expense ratio, management fee, 12b-1 fee (or the marketing fee) and administrative fee. Before you can determine your true return on investment, you have to factor out all of these fees. In this example, the fund made $788 in gains, but you ended up with negative overall performance after fees. Think about that for a minute. It is your money, however, in this real life scenario you don't keep any of your profits. Do you know where your money is invested and how much you are really paying in fees? If you don't, you should gain an understanding of your true investment costs. Put on your professional cap and review your statements. The more you know about how the financial system truly works, the more money you can keep. That is our goal at Online Trading Academy, helping you invest wisely so you can keep more of what you earn.